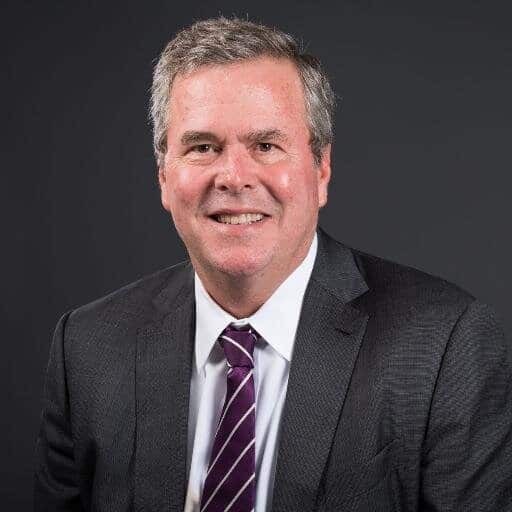 Former Florida governor and 2016 presidential hopeful Jeb Bush released a new statement today responding to the start of marriage equality in that state. "We live in a democracy, and regardless of our disagreements, we have to respect the rule of law. I hope that we can show respect for the good people on all sides of the gay and lesbian marriage issue – including couples making lifetime commitments to each other who are seeking greater legal protections and those of us who believe marriage is a sacrament and want to safeguard religious liberty." The remarks are clearly a more calculated response (using the religious right's newly-popular victimization rhetoric) following spontaneous comments offered on Sunday following a golf match, in which he suggested that gay marriage should be put to a public vote. “It took Jeb Bush 69 words to say absolutely nothing — 69 words not to say, ‘I support marriage equality.’ Nothing’s changed,” DNC communications director Mo Elleithee said in a statement. “At the end of Bush’s statement, he still had the same position: he opposes the right of gay and lesbian Floridians — and all LGBT Americans — to get married and adopt children." Gay couples began marrying earlier today in Miami-Dade County. Marriage equality takes effect statewide after midnight, when a couple will be married live on YouTube in Key West.